Perhaps I am cheating a little bit this week since I took these pictures last weekend, but I wanted to share them with you. I love watching geese take off, and this group decided I was getting a little too close, so off they went. 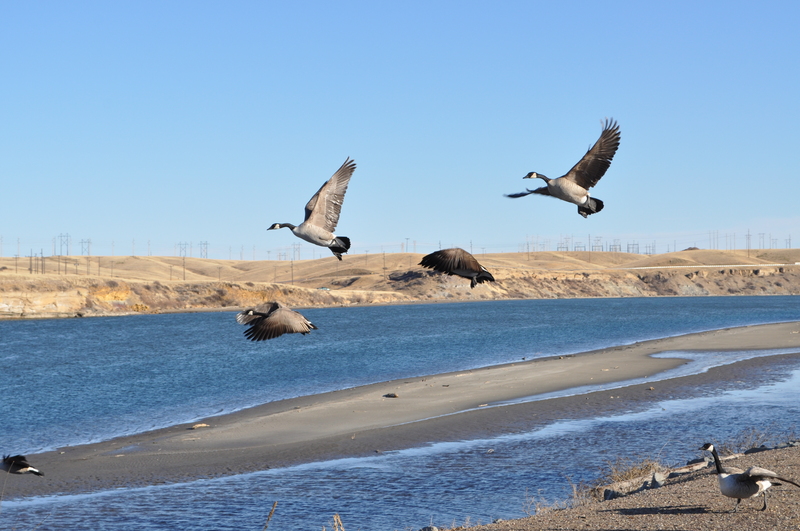 They only went about 20 feet out onto the Missouri River, but at least I was able to watch them fly away. As soon as I began walking away, they started swimming back to shore. I guess their morning nap wasn’t over quite yet. 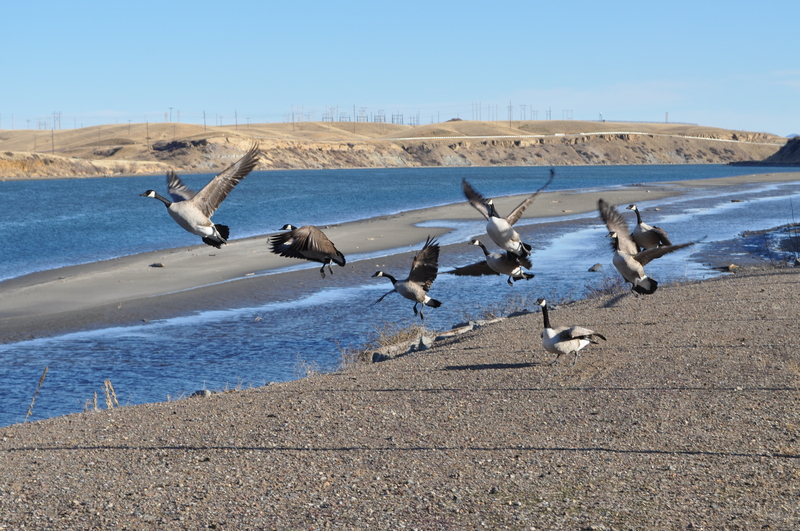 This entry was posted in My 52 and tagged geese, Missouri River, My 52, photo, weekly photo. Bookmark the permalink. Pictures like this make it hard for me to believe that it is still only January. It is a great sight though. We haven’t had a whole lot of snow this year, which is a nice change from last year. I like the birds, too, especially the wood ducks. I can’t seem to get enough pictures of them. One of these days I will get a really spectacular one!